Extract: Thomson, A. D. 'Cockayne, Leonard 1855 - 1934'. Dictionary of New Zealand Biography. Leonard Cockayne, New Zealand's greatest botanist and a founder of modern science in New Zealand, was born at Norton Lees, near Sheffield, England, on 7 April 1855. He was the youngest of seven children of Mary Shepherd and her husband, William Cockayne, a well-to-do owner of a drapery business. Leonard received his early education from a governess and came to dislike school. Considerably younger than his siblings, he was a lonely child who spent much time observing birds, fish and flowers in the wood near his home, Thorpe House. This stimulated his curiosity about nature, and perhaps helped to engender the independence of thought that was characteristic of his adulthood. Cockayne's higher education was fragmentary and incomplete, but provided some knowledge of science, especially botany. He attended Wesley College, Sheffield, in 1872, and then Owens College, Manchester, until 1874; he intended to study medicine but did not graduate. Cockayne also attended lectures in botany, but he gained little more than a cursory knowledge of the British flora and prepared a small amount of herbarium material. Cockayne left England in 1877 for Australia, where he taught in Tasmania, Victoria and Queensland. That year he spent six months as a private tutor at a Mr Blakeley's of Harcourt, Victoria. Blakeley may have been his uncle, and it is possible that Cockayne had come to Australia to join the family. Cockayne resigned his teaching position in 1880 and moved to New Zealand in 1881. He continued teaching in Otago at the Tokomairiro District High School and at Greytown (Allanton), where he taught the elements of botany. Maria Maude Blakeley, who was probably his cousin, had come to New Zealand before Cockayne and taught at Balclutha North School and George Street School, Dunedin. The couple married in Dunedin on 26 February 1881; they were to have one son. Cockayne's interest in New Zealand plants was triggered by the amateur botanist Peter Goyen and the teacher and scientist George Malcolm Thomson. Cockayne's father died in 1884, leaving him an independent income; this enabled him to leave schoolteaching, which he appears to have found uncongenial. In childhood he had taken an interest in horticulture, and in 1885 he purchased a small mixed farm, Dilcoosha, of 15 acres at Styx near Christchurch, where he made a collection of plants, including alpine plants. In 1892 he purchased a property of 4½ acres in the sand-dunes near New Brighton, where he established an experimental garden, Tarata. It was to be devoted to botanical purposes rather than display. Here he annually sowed some 2,000 species of exotic plants obtained from botanic gardens around the world; he sent local plants in exchange. He also began to make contact with other scientists, joining the Philosophical Institute of Canterbury in 1895. He had made the acquaintance of the amateur botanist Robert Brown, whom he accompanied on many botanising expeditions, and was also in correspondence with leading German botanists. He met Karl von Goebel on his 1898 visit to New Zealand and received encouragement in his work. During this period Cockayne laid the foundations for his later studies on New Zealand plants and vegetation. He attended the first conference of horticulturists in New Zealand at Dunedin in June 1901, where he presented a paper on the plants of the Chatham Islands and advocated the establishment of experimental plant research stations in New Zealand. This helped to establish Cockayne's reputation. Despite the legacy from his father's will Cockayne's financial situation in the early 1900s was insecure, and in order to maintain and extend his botanical investigation he unsuccessfully tried to persuade the government to create a position of government botanist for him. He was, however, able to obtain some government support for his botanical survey work. He had begun travelling extensively on botanical expeditions, visiting the Chatham Islands in 1901 and the West Coast in 1902. In 1903 he decided to devote himself to science; he sold Tarata, giving the shrubs to the Christchurch Beautifying Association (of which he had been a founding member in 1897) and moved in to Christchurch. He visited Ruapuke Island, Milford Sound and the Auckland and Campbell islands in 1903. Cockayne never enjoyed robust health, and in 1904 developed a nervous affliction. He recovered rapidly and after convalescing lived for a year in Wellington. He found the city ideal for botanical purposes, but not liking its windy climate he returned to Christchurch in 1905. He was soon travelling again. He visited Kapiti Island in 1906, the Waipoua kauri forest in North Auckland in 1907, and Tongariro National Park in 1907 or 1908, writing extensive reports on each. Later in 1907 he spent two months on Stewart Island, and in 1909 he wrote important reports on Stewart Island, the subantarctic islands and the ecology of sand-dunes. As well as securing plants on his travels, Cockayne received specimens from friends such as Arnold Wall and F. G. Gibbs. His many helpers constituted an unofficial botanical survey. He was also helped by his son, Alfred, later to have a distinguished career in biology and agriculture. Some of these studies were commissioned by the Department of Lands and Survey and were intended to have a practical application. Cockayne had already publicised his views on the need for plant breeding stations. He investigated tussock grasslands in Central Otago for the Department of Agriculture, served on the Royal Commission on Forestry in 1913, was later honorary botanist to the State Forest Service, and prepared a report on flax disease for the New Zealand Flaxmillers' Association. Cockayne's major contributions to botany were in plant ecology and in his theories of hybridisation. In 1899 he published the first New Zealand account of successional changes in vegetation. Previous New Zealand botanists had believed in the fixity of species and had concentrated on recording kinds of plants and their habitats. Cockayne was, first, a plant scientist who had observed the influence of environment upon plant forms. He was more interested in observing plants in their natural habitats than in collecting specimens, and introduced to New Zealand botany the idea that plants showed different forms at different stages of development. Cockayne also propagated the theory of the natural hybridisation of species as the driving force in evolution. He based this idea on careful field observations, particularly of southern beeches at Elfin Bay, Lake Wakatipu, in 1921. Much of the field work was done in conjunction with H. H. B. Allan, who became a close friend and co-authored important papers with Cockayne. The search for hybrid forms throughout the whole of New Zealand flora led Cockayne to publish long lists of what he unequivocally referred to as hybrids; he may have been overenthusiastic in this, although many of his identifications have since been confirmed. Cockayne's work on hybrids led him to criticise the traditional taxonomy, which was based on the use of herbaria rather than field observation and resulted in an unnecessary multiplication of species names. Surprisingly, he was suspicious of the developing field of genetics, perhaps not realising its significance. Although his theories were somewhat controversial, it was his work on hybrids which won him the award of the Royal Society of London's Darwin Medal in 1928. Cockayne set out his views in a steady flow of books and articles. Although he was a late starter, he became the most prolific recorder of New Zealand botany, publishing some 280 articles in New Zealand and overseas periodicals and newspapers, all written in an eloquent and forceful style. He was committed to publicising the more popular and practical aspects of his work, giving public lectures and making many contributions to newspapers. In 1906 he wrote a series of 10 articles in major New Zealand newspapers; they were reprinted, with some modification, as New Zealand plants and their story in 1910. Cockayne wrote that the book was 'written mainly to stir up some interest here in the botany of the country'. It has remained a standard popular account. His major contribution to botanical literature was The vegetation of New Zealand ; commissioned in 1904, it was published in 1921 in the series Die Vegetation der Erde. A second revised edition appeared in 1928. It remained the standard work for 70 years. Cockayne's other major work was the two-part Monograph on the New Zealand beech forests (1926, 1928). He also published The cultivation of New Zealand plants (1924) and, with E. Phillips Turner, The trees of New Zealand (1928). The latter has been frequently republished. Leonard and Maude Cockayne moved to Wellington in 1914 and to a small cottage in Ngaio in 1917. By now Cockayne had achieved a position of some eminence. He was president of the Philosophical Institute of Canterbury in 1899 and 1912, the New Zealand Institute in 1918--19 and of its Science Congress in 1919, the New Zealand Institute of Horticulture in 1924--25 and the New Zealand Native Bird Protection Society in 1930--31. 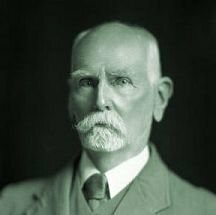 He helped persuade the government to establish the Department of Scientific and Industrial Research in 1926 and was responsible in 1927 for the establishment of the Otari Open Air Native Plant Museum at Wilton, Wellington, a public botanical garden for the display of native plants. Cockayne held many official positions in New Zealand scientific organisations, and his many honours and awards reflect his special standing in New Zealand science. His major honours were a fellowship of the Royal Society of London (1912) and the Darwin Medal (1928). He received an honorary PhD from the University of Munich in 1903, was recognised by the University of New Zealand with an honorary DSc in 1932 and he was appointed a CMG in 1929. His other awards included a fellowship of the New Zealand Institute (1919) and of the Linnean Society of London (1910), the Mueller Memorial Medal of the Australasian Association for the Advancement of Science (1928), the Veitch Memorial Medal of the Royal Horticultural Society (1931), the Hector Memorial Medal and Prize (1913) and the Hutton Memorial Medal (1914) of the New Zealand Institute. He also held numerous honorary positions in scientific and related organisations. Leonard Cockayne was a man of independent - and, on some subjects, radical - views. He refused to accept the statements of his predecessors uncritically, and could be forthright, even violent, in speech. He loved argument for argument's sake, and was easily roused to anger which, however, was short-lived. He could be dogmatic, but was careful to give due consideration to the views of fellow workers and was generous in sharing his knowledge with younger colleagues. His temperament is captured in photographs taken late in life which show him with a bristling moustache and prominent, determined jaw; the eyes are alert and kindly. From 1931 Cockayne's eyesight began to fail, and an operation to restore it was only partially successful. Despite almost total blindness he continued his research, and letters to colleagues show a puckish humour maintained in adversity. He died at Wellington on 8 July 1934; Maude Cockayne died at Wellington on 24 December 1934. Both were buried in the grounds of the Otari Native Plant Museum. Leonard Cockayne was one of the most influential of New Zealand's scientists. Although lacking formal training, he made important and original contributions to botany, stimulating research and thought both locally and overseas. His extensive international contacts provided an exchange of knowledge and material then unusual in New Zealand science, and his knowledge of the relevant scientific literature was comprehensive. He dominated New Zealand science between 1900 and 1934, and his influence persists in his published works, many of which remain the standard accounts of New Zealand's vegetation. Permission of the Hocken Library, University of Otago, must be obtained before any re-use of any image on this page.